Long before the California legalization law passed in 2016, San Francisco, Oakland and South Lake Tahoe allowed onsite consumption at properly licensed facilities. Magnolia Wellness in Oakland has a vape lounge and is planning to open a larger one around April 20. This new site, in the former restaurant next door, will feature a cannabis café and art deco bar and an events center for music, poetry readings, farmer’s markets and other activities. It makes no sense to legalize cannabis without creating places to use it. Magnolia was the first dispensary anywhere in the U.S. to get a dram-style insurance policy for onsite consumption. Like at a bar, if someone consumes onsite and has an accident afterwards, insurance will cover the claim. The dispensary adapted the California Department of Alcohol Beverage Control’s intoxication guidelines for budtenders to use, so they know when to cut off service. It also provides operating procedures to manage medical emergencies that might occur. Odor control, fire safety and the well-being of the staff, who are exposed to particulates in the air from off-gassing vaporizer units, are challenges that have to be met on a daily basis. 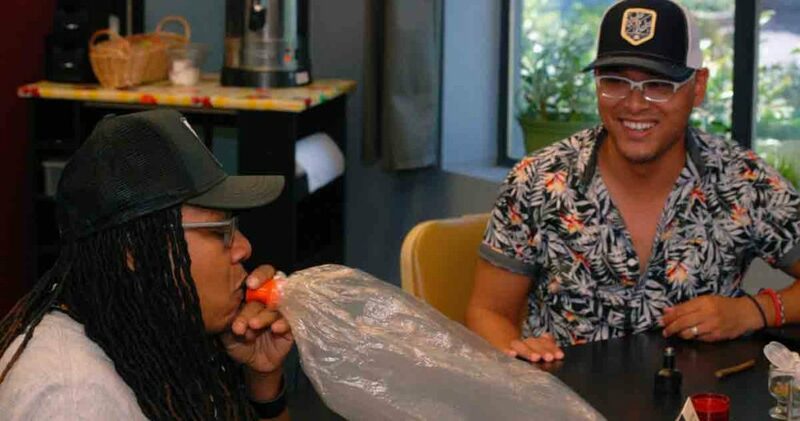 Vape and smoking lounges and cannabis cafés are spreading to other California cities as well. They’ve either opened or plan to open in Cathedral City, Emeryville, Eureka, Lompoc, Ukiah and West Hollywood. In Colorado, state law does not yet allow onsite consumption facilities, but Denver law does. Unlike California, though, cannabis sales are not permitted at these retail outlets. Instead, Denver’s two licensed facilities, The Coffee Joint (1130 Yuma Ct.) and Vape and Play (1753 S. Broadway), make money selling event tickets, coffee and tea and retail items other than cannabis. These are experiential lounges and experimental, too. They’re licensed under a local trial program designed to evaluate their safety and use in order to establish a basis for a permanent local law and for an eventual change to state law. Other state laws are changing fast, too. The Alaska Marijuana Control Board recently established rules for onsite consumption. It will require local approval to operate and no sites have been licensed yet, but surely will sometime this year. The Massachusetts Cannabis Control Commission is writing rules for onsite consumption that are expected to be released this summer. They envision movie theaters and yoga studios with lounges, as well as Amsterdam-style cafés where cannabis can be both bought and consumed. Las Vegas is also considering lounges that would permit onsite vaporizing only. A tabletop vape in one hand and a computer in the other at Magnolia Wellness’ consumption lounge in Oakland. Due to a dearth of social-use regulations, community organizers have stepped in to fill the void by operating member-only cannabis lounges. These commonly charge an annual or daily fee – used for upkeep, staffing and security – to visit the facility. Some give free cannabis to members and others transact clandestine marijuana sales. But most are BYOC spots, where locals come to hang out in places that look a lot like their own living rooms. None are city licensed, but many are tolerated by local law enforcement and regulatory authorities. Longtime legalization advocate John Sinclair recently announced he planned to open a cannabis café in Detroit, where consumers could meet, drink coffee and share their own cannabis. Unfortunately, Michigan currently bans such establishments. It’s not easy running a vape lounge, but it’s worth it. In fact, it’s a dream come true. The post Social Cannabis Consumption Taking Off in California and Colorado appeared first on Freedom Leaf.